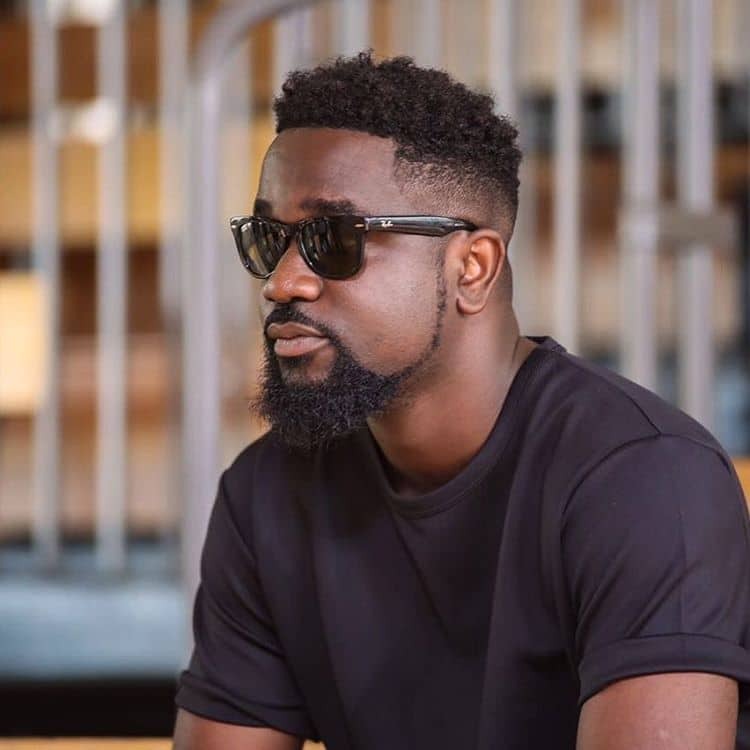 Best African rapper Michael Owusu Addo professionally Sarkodie has said that Ghana is too hot and also nothing seems to be working right. Majority of Ghanaians can attest to the fact that things are not going well in this country especially how the "DOLLAR" is now sinking the Ghanaian currency "CEDI" and has made everything standstill. 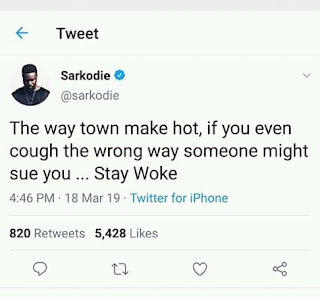 On his twitter page, he advised all Ghanaians to be cautious of what they say if not, someone might sue you just for money due to the hardship in this country . 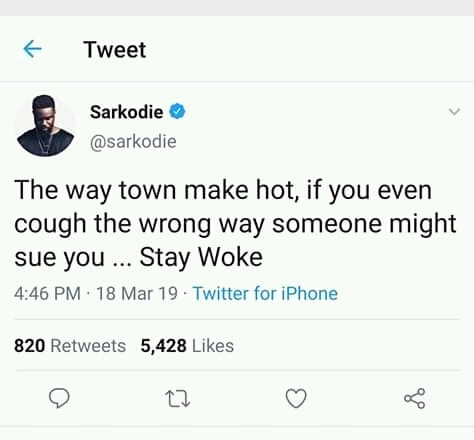 "The way town make hot, if you even cough the wrong way someone might sue you, stay woke" he cautioned .